Tomorrow is Taco Tuesday, and here are Three Terrific Recipes for Pork Tacos for all you taco lovers out there, and who doesn’t love tacos? 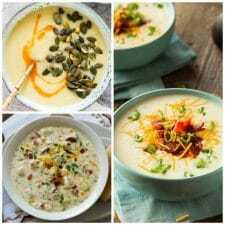 Each one is easy, delicious, and fast! Use the slow cooker or pressure cooker and create a meal the whole family will love. 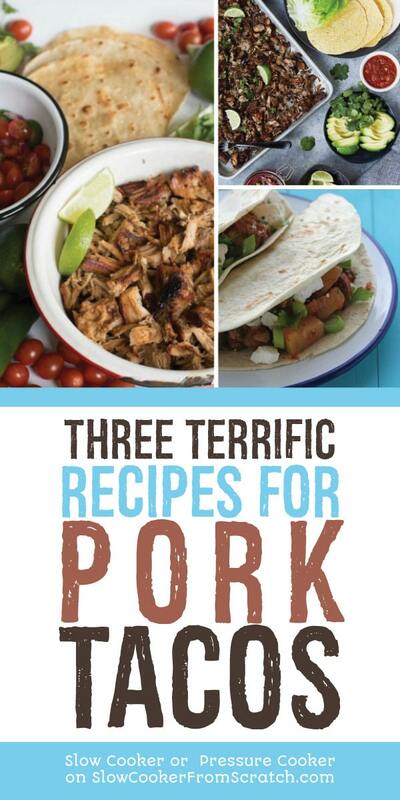 Click here to PIN Three Terrific Recipes for Pork Tacos! These Three Terrific Recipes for Pork Tacos are all easy, fast, and delicious, I know those are three words that get your attention when you’re choosing a recipe. Each recipe starts with a boneless pork roast and an assortment of yummy spices that blend together while cooking. Whether you choose to cook quickly in the Instant Pot or low and slow in the slow cooker these Three Terrific Recipes for Pork Tacos are sure to be a hit on your dinner rotation. Serve with corn or flour tortillas, or tuck the meat into lettuce wraps if you prefer a lower carb option. Then top with your favorite toppings and a squeeze of lime. Yum! Sounds like dinner tonight! These Slow Cooker Smoky Pork Tacos with Avocado and Feta from Dinner du Jour are a variation of the famous Rick Bayless Pork Tinga Tacos and this has so many interesting flavors going on with the pork, including Chipotle chiles, fire-roasted tomatoes, Worcestershire sauce, garlic, and Chorizo. Everything about this recipe sounds amazing to me! 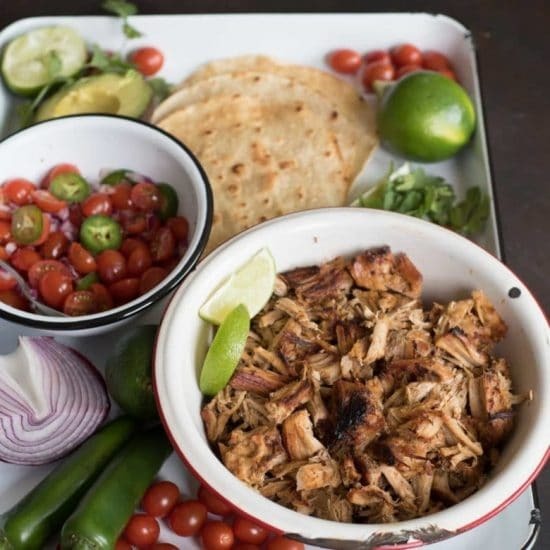 Instant Pot Carnitas w/ Slow Cooker Option (Paleo, Whole 30, Keto) from Tasty Yummies is naturally gluten-free, simple to make, and will please the whole family. 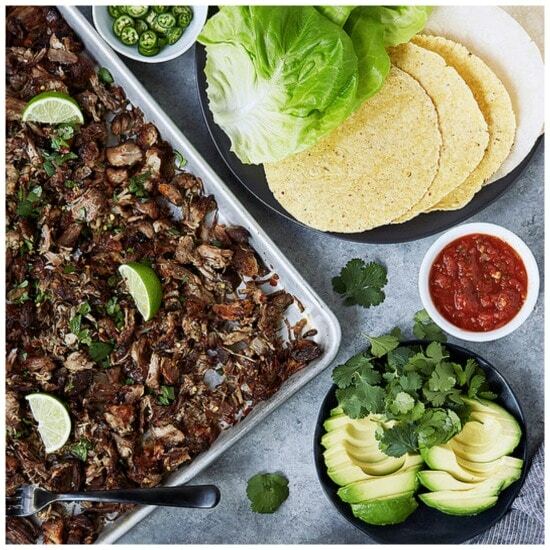 Serve these Instant Pot carnitas with your favorite tortillas, in lettuce cups, to top a salad, or make it a bowl over cauliflower rice. Beth has also included slow cooker directions here if you would prefer that method of cooking. Even though I'm not a pork eater, I have to admit that the flavors in this recipe look so appealing. Lydia, I am thinking this would work well with chicken thighs too!